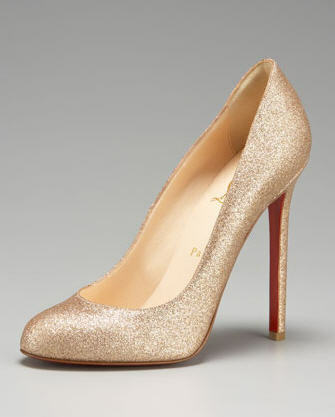 Christian Louboutin is the gold standard for wedding shoes. If your budget has wiggle room (enough for $600 shoes), these lovelies would really look incredible peeping out from under your gown (find them here). And if your budget can’t fit shoes of the caliber (and you’re more of a DIY-kinda gal), I’ll be sharing a tutorial on how to DIY your own glitter pumps (sans red heel). Watch future posts for this fun, easy tutorial. How Much Space Do Your Guests Need?